The centerpieces are put together. The seating chart is finished. Everything is in place for your wedding day to be as spectacular as it should be. You’ve been meticulous about everything and no detail will be missed. Your wedding spray tan should be just as perfect. Getting a spray tan before your wedding day should be a fun, carefree way to enhance your natural glow. And step one has never been simpler than it is in this day and age. Most people are more likely to share negative feedback than positive, helping you weed out the salons to avoid. Positive reviews are a great reflection on the quality of service and commitment to detail as well. Ask friends and family for recommendations to find a professional salon with trained bridal tanning specialists. The tanning salon is not the place to be bride-zilla. Since you’ve done your homework and found a trained specialist, let them do their job with your wedding spray tan. Chances are, he or she will recommend what may look to you like a more neutral color than you’d like. Trust them. They know what they’re doing. This step is paramount. If at all possible, try to experience at least one spray tan prior to your wedding spray tan. Not only will it get you accustomed to the process overall, but you’ll learn strategies and tactics that work best for you afterward, as well as learn what color and solution is the best fit for your skin. Talk to your bridal tanning specialist beforehand about when your practice session should be. In many cases, it’s best to schedule your last trial run several weeks before your wedding day to avoid spraying over an old tan. 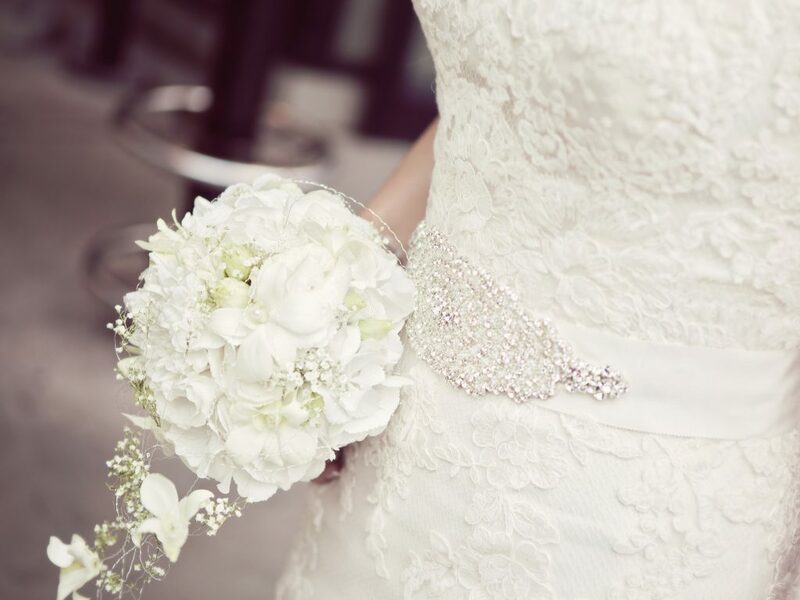 Exfoliate your skin a few days before your wedding, but avoid doing it the day of. Your skin on the day of your wedding day spray tan should be as clean as possible, free of any oils, scrubs or lotions, to maximize even absorption. Follow these pro tips the days before, during and after your wedding to make your tan last. The best time to get a spray tan before a wedding is generally about two days prior, so your tan has time to set properly. Finally, avoid using even soap on your tan and mind your specialist in terms of when you can safely shower afterward. This is your special day. Pampering is expected! Get that massage or facial or whatever other treatments you would like, but do so before getting the wedding spray tan to avoid smearing or other negative impacts on the tanning solution. You should be glowing on your wedding day in more ways than one. Ask your technician any questions you might have, but after you leave the salon, try not to worry. Sure, the time is now to follow instructions for after the spray treatment, but that’s why you’ve done your homework and know how exactly how to follow through.